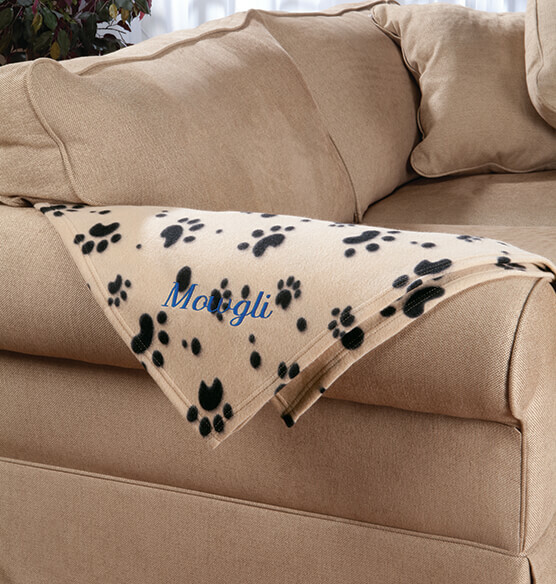 Personalized for one lucky pet, this soft personalized paw print pet blanket makes it official—that chair is reserved, thank you! 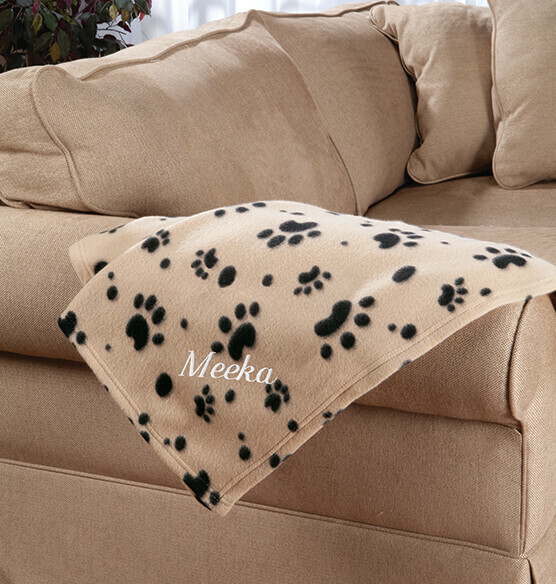 Your cat or dog will snuggle in for a warm, cozy nap while you protect furniture from claw wear and tear (not to mention all that fur). 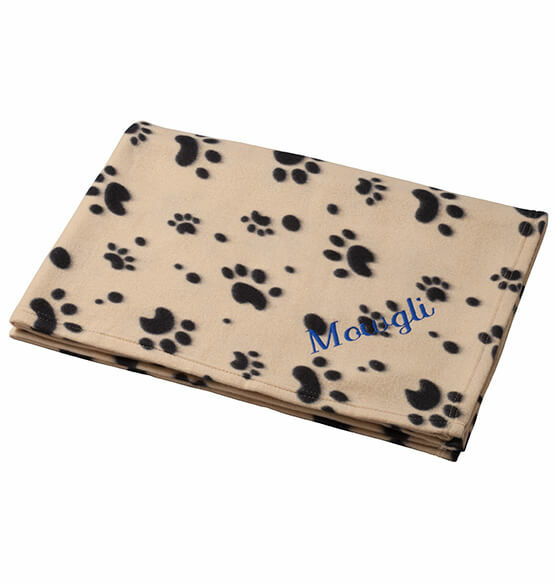 Featuring a cute paw-print pattern, the 100% polyester fleece blanket machine washes and dries for easy care. 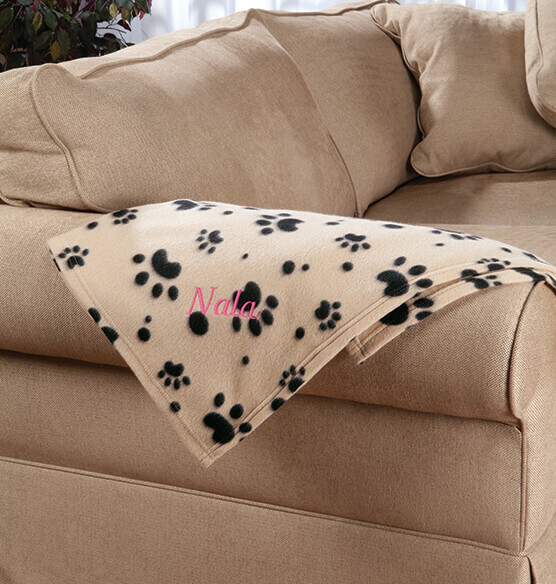 We’ll embroider this custom blanket with your pet’s name in your choice of 3 colors. 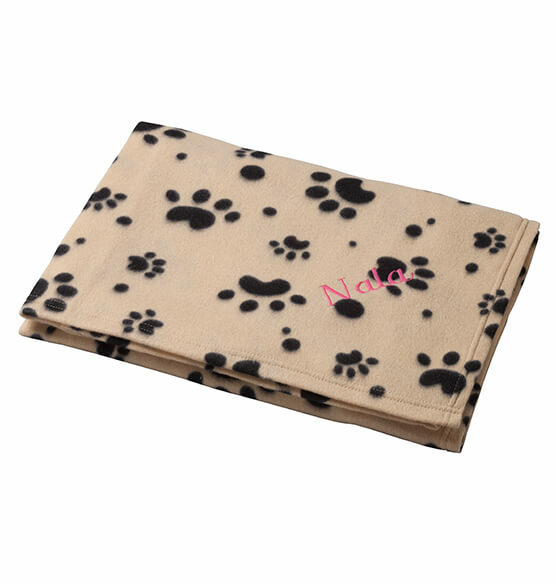 Specify embroidery color: white, pink or blue. Specify name; limit 1 line, 10 letters/spaces. 60" long x 39" wide.